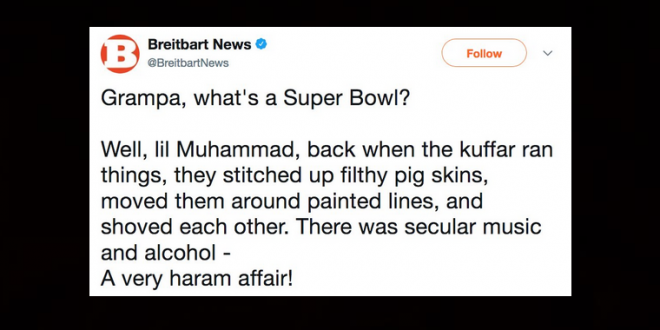 Breitbart Deletes Anti-Muslim Super Bowl Tweet - Joe.My.God. 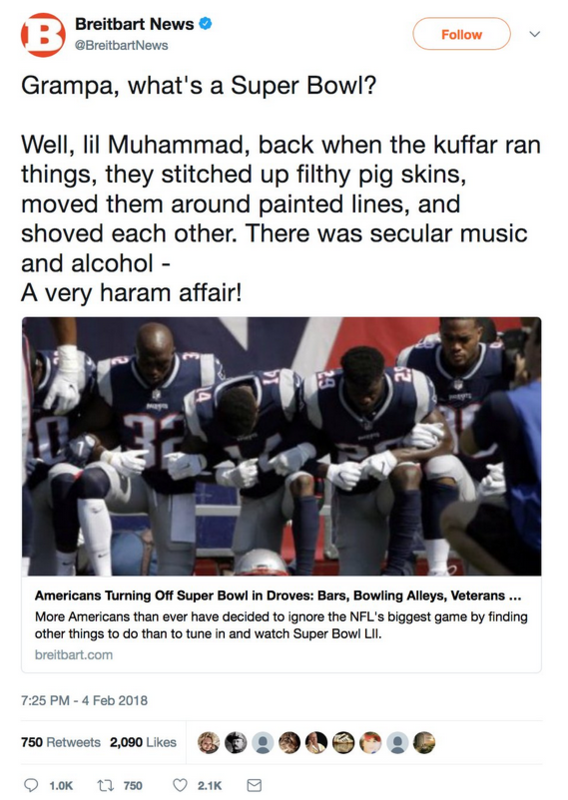 The conservative website Breitbart News deleted a tweet on Sunday night that suggested Muslims will bring an end to the Super Bowl if they gain control of the United States. The tweet was in the form of a discussion between a child who asks what the Super Bowl was, and a grandparent explaining why it was done away with. Breitbart was criticized for the tweet, and on Monday morning announced via Twitter that the deleted tweet did not meet its editorial standards.